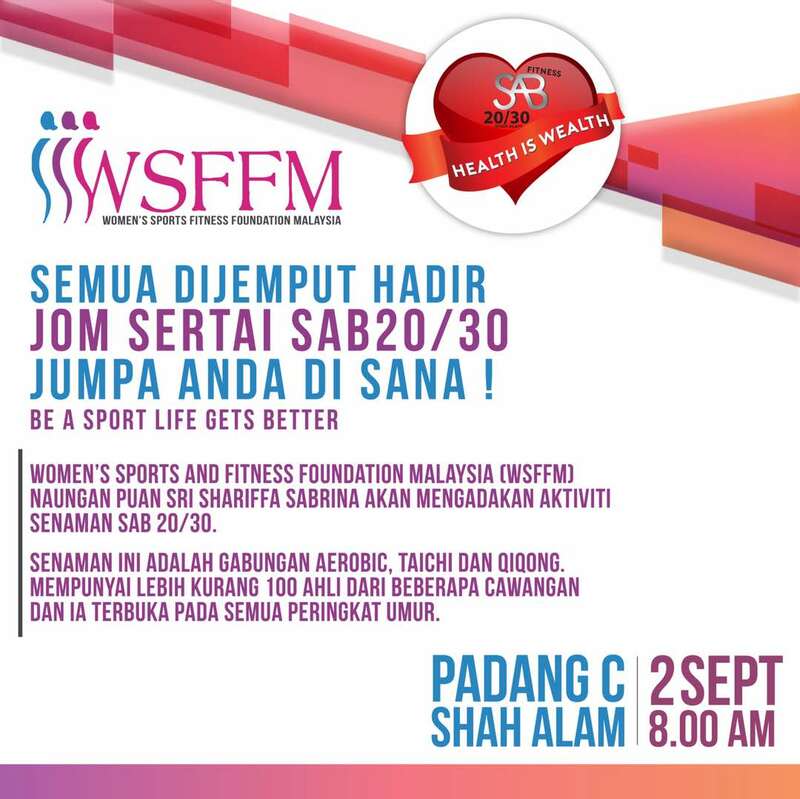 WSFFM will be at Dataran Kemerdekaan Shah Alam on 2nd September, that’s tomorrow for the ‘Car Free’ Sunday. MBSA hosts a ‘Car Free Sunday’ once every month. WSFFM will perform SAB20/30 exercise as warm up for every event. Do come and join us for the exercise and there are lots of other activities.